The Kansas State Department of Education (KSDE) announced Tuesday, April 17, that Andover Public Schools is one of 19 school districts from across the state selected to take part in Gemini II: The Space Walk Begins, which is the next round of the Kansans Can School Redesign Project. KSDE in February 2018 began accepting applications for the Gemini II Project, and the districts were announced April 17 during the Kansas State Board of Education meeting. Andover schools participating in Gemini II are Cottonwood Elementary, Martin Elementary, Meadowlark Elementary and Andover Central Middle School. Andover Public Schools plans to launch a new school redesign in the 2019-2020 school year and will serve as a future demonstration site for other districts in Kansas to study, learn from and visit. 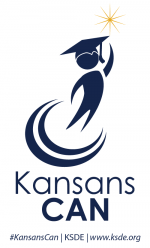 Learn more about the Kansans Can School Redesign Project.